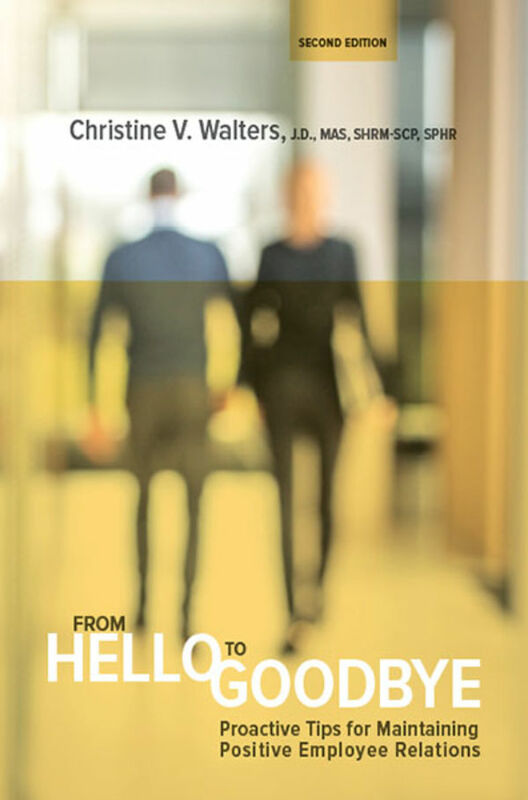 Read more about From Hello to Goodbye, Second Edition in HR Magazine's Book Blog. Evaluating the complete employment relationship in reverse--from departure through hire— From Hello to Goodbye is the HR professional’s complete guide to understanding the various ways business relationships end, managing disability and leave issues, properly classifying workers, maintaining an inclusive workplace, increasing retention, and avoiding litigation. Updated to reflect new research and best practices in addition to recent legal and regulatory compliance complexities, the Second Edition also features practical tips for managing emotional reactions, suggestions to make the business case for inclusion, and practical guidelines for keeping yourself (and your company) safe from violence in the workplace.